I was looking around for a new, healthy pasta dish and finally found it. 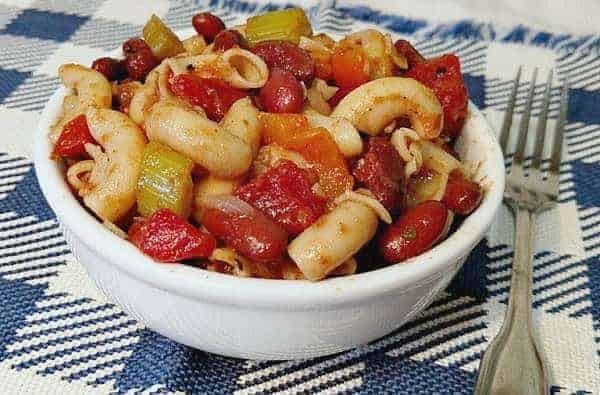 This easy vegan chili mac recipe comes together in minutes and is now a family favorite. When I was a kid, Hamburger Helper was all the craze, and my family ate it very frequently. Sometimes I miss those pasta dinners. That is what prompted me to play around with this recipe from Physicians Committee. Their meatless chili mac version was good, but I felt it needed a little more punch of flavor. 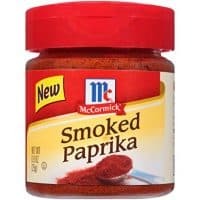 To accomplish that, I have added a lot more spices and seasoning. 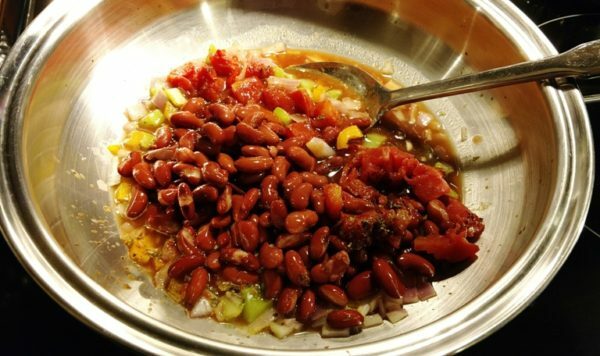 It’s loaded with onions, celery, and bell pepper, kidney beans, chili powder, smoked paprika and more. 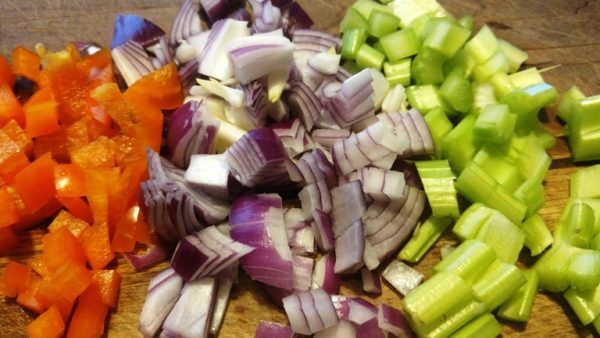 Chopped fresh veggies ready to be added to Chili Mac. I always use spelt, quinoa, or brown rice pastas that are egg-free. They are readily available in most grocery stores. Make sure not to overcook them, as they will become mushy. 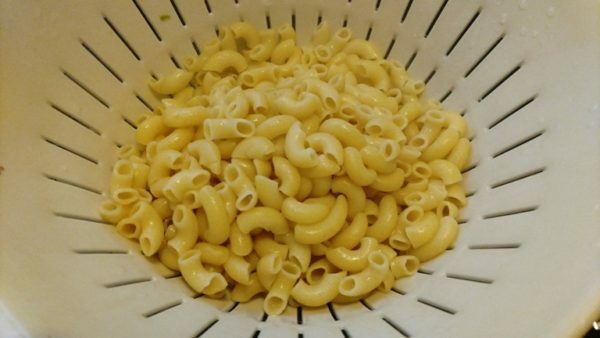 For this recipe, I used rice pasta. Years ago, some of the rice pastas were difficult to cook without becoming too soft and turning to mush. That isn’t the case anymore. Evidently, the companies have gotten smarter and made their product much more user-friendly. We love whole grain pastas. They taste great and are so good for you. So many options for whole grain pastas. 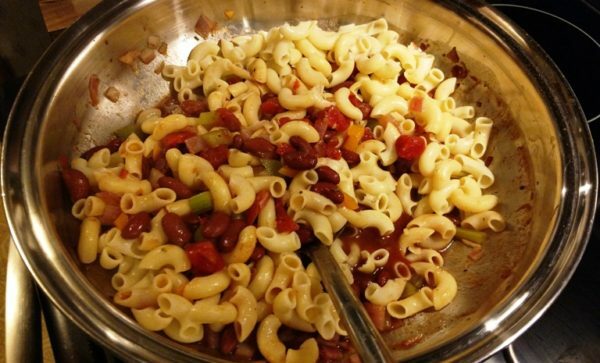 This meatless chili mac recipe makes a hearty meal the whole family will enjoy. Serve with a tossed green salad or corn on the cob for a simple and fast dinner. Recipe adapted from Dr. Neal Barnard’s book, Breaking the Food Seduction. This healthy vegan chili mac recipe makes a hearty meal the whole family will enjoy. Serve with a tossed green salad or corn on the cob for a simple and fast dinner. I always use spelt, quinoa, or brown rice pastas that are egg-free. They are readily available in most grocery stores. Make sure not to overcook them, as they will become mushy. Drain well and set to the side. 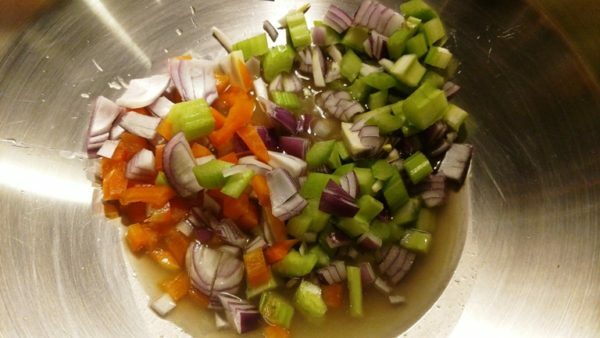 Dice onions, celery, and bell pepper. In a sauce pan, add vegetables and 3 Tbsp of water or veggie broth. Saute until they are slightly tender, approximately 5 minutes. Add more water or broth as necessary. Stir in all other ingredients (except macaroni). Mix well and allow to cook 5-7 minutes. 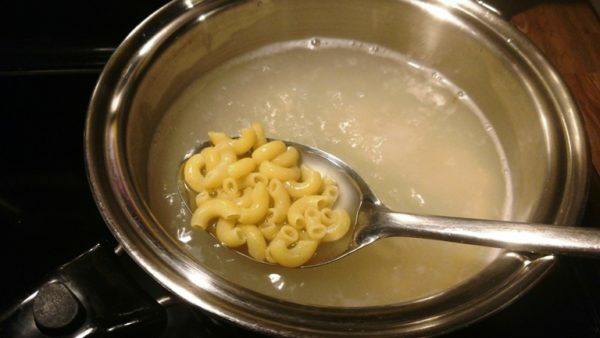 Add cooked macaroni, stir, and cook 1 minute longer. Serve immediately with tossed green salad or corn on cob. 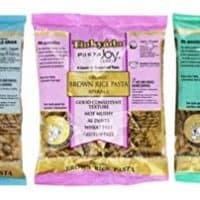 Tinkyada Organic Gluten-Free Brown Rice Pasta 3 Shape Variety Bundle: (1) Elbow Pasta, (1) Spirals Pasta, and (1) Penne Pasta, 12 Ounce Ea. 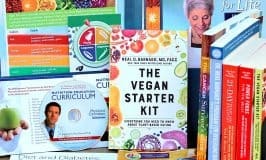 This is a simple and healthy vegan dinner option. Yum. I’m going to make this very soon! I can do this! Looks delicious! Thx for the easy recipe with visuals! 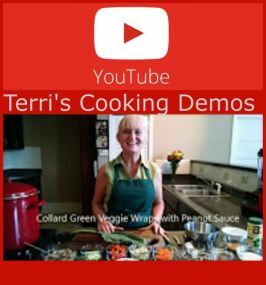 Love recipes with pics – very helpful! Awesome! I hope you enjoy! Looking forward to upcoming shows! I fixed this recipe last night and it is great. This is one of those recipes that satisfies carnivores as well as those who don’t eat meat. Thank you! 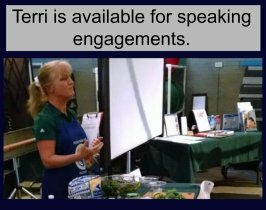 Wonderful to hear this, Kathleen! Thanks so much! 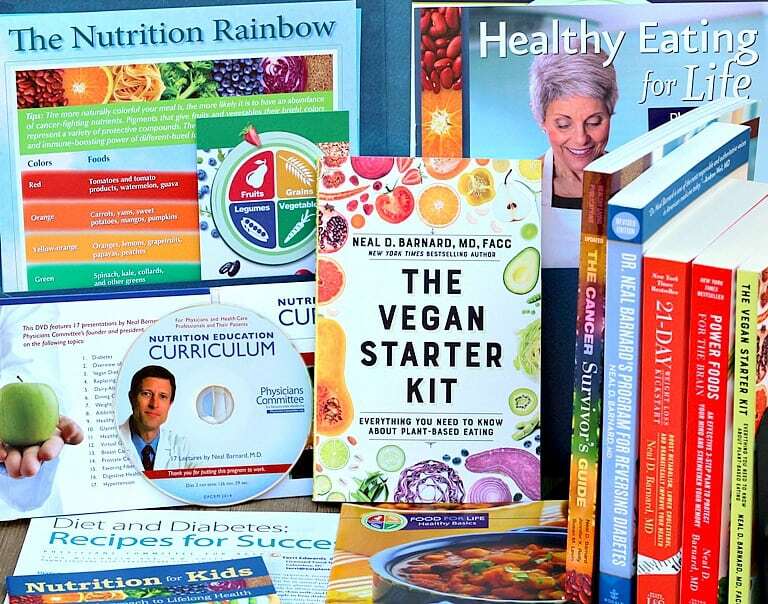 I’m constantly amazed that ‘healthy vegans’ allow so much pasta, whole grain or not, white flour,etc. 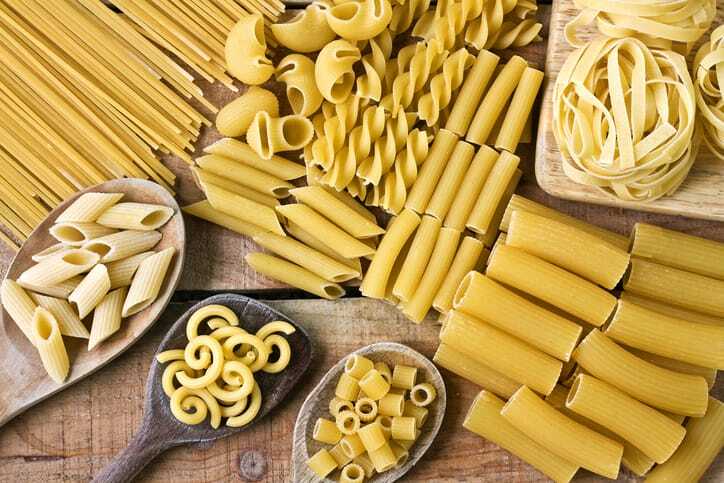 All pastas and flours are mucous forming and refined and do not contribute to health. Just made this and it is YUM! I added about a cup of not-beef crumbles instead of a second can of beans, and topped my bowl with a generous sprinkle of nooch. Mmmm! Yay! So glad you liked the Chili Mac! Made this for lunch today. My husband and I loved it. Will be making again and again. Thanks!!! That’s wonderful to hear! Thank you so much for letting me know that you enjoyed the recipe! Looks wonderful! Would love to see an IP version. Fixed this today. Absolutely delicious! Thank you for your recipes. Wonderful to hear this! Thank you for the great feedback!